EXCLUSIVE: Keira Knightley has replaced Scarlett Johansson on Can A Song Save Your Life? 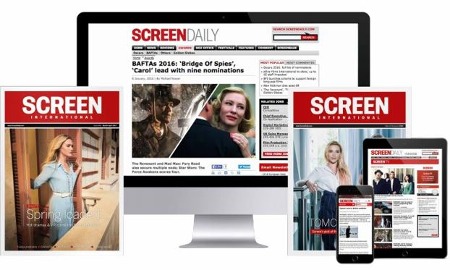 which Exclusive Media is financing, producing and selling in Cannes. John Carney, the filmmaker behind the hit Irish musical romance Once, will direct the story about a singer who moves to New York with her boyfriend only to be dumped by him and subsequently discovered by a producer. Hailee Steinfeld also stars. Johansson is understood to have left due to personal reasons. Inferno has acquired international sales rights to the Steve Jobs project Jobs which will star Ashton Kutcher in the pivotal lead role. This is not the same as the Sony project in the works about the former Apple guru. CAA packaged the film and represents domestic rights. Joshua Michael Stern will direct from a screenplay by Matt Whitely. The Weinstein Company will tout Scary Movie 5 to buyers, one of several late breaking projects to emerge as the market gets underway today . Malcolm Lee will direct and David Zucker produce the latest episode in the spoof horror series and Dimension Films will distribute in the US as it has done on the franchise. The Weinsteins have also boarded most of the world on official selection The Sapphires following a deal with Goalpost Film. The Goalpost Pictures Australia drama is based on the true story of four Aboriginal girls who formed a singing troupe and entertained US forces during the Vietnam War. The Weinsteins will distribute the drama in the US and hold all international rights excluding the UK and Ireland, Australia and New Zealand, France, Canada, Portugal, Israel and airlines. Lakeshore International has added Walden Media’s inspirational drama Won’t Back Down to its slate. Viola Davis, Maggie Gyllenhaal and Holly Hunter star in the story about two mothers on a mission to turn around a failing inner city school. Fox will release in the US. Meanwhile Focus Features International hosted a screening for buyers on Tuesday of an early, two-hour 45-minute cut of Cloud Atlas, whileFilmNation screened Chernobyl Diaries, Magic Mike and Looper for its distributors.